"Your mind is the garden, your thoughts are the seeds, the harvest can either be flowers or weeds." ~ William Wordsworth. Someone, like me, who is very much animated in learning our own mind that rest just above our shoulders will not be surprised but surprise will be those who have no even a slightest idea of your own, the most powerful and miraculous mind. I feel and believe that every individual of us has rights to learn and must know about our own mind for we will be living our own life. Buy Ayn Rand's wisdom: "We are born unarmed. Our mind is our only weapon." I am neither an expertise nor a specialist of mind but I am a simple aficionado of the mind for I would love to explore and implore the depth of our own mysterious and miraculous mind. My eagerness and readiness has grown high to learn and yearn for the wisdom of mind since I started to discover the facts of mind, bits by pieces. I have been reading and studying numbers of books those bespoke on the subject of mind and all they said is: "The mind is everything, what you think, you become," as quoth by Buddha. Many of the dynamic authors and philosophers have their own way of explaining the mind and about its ins and outs. 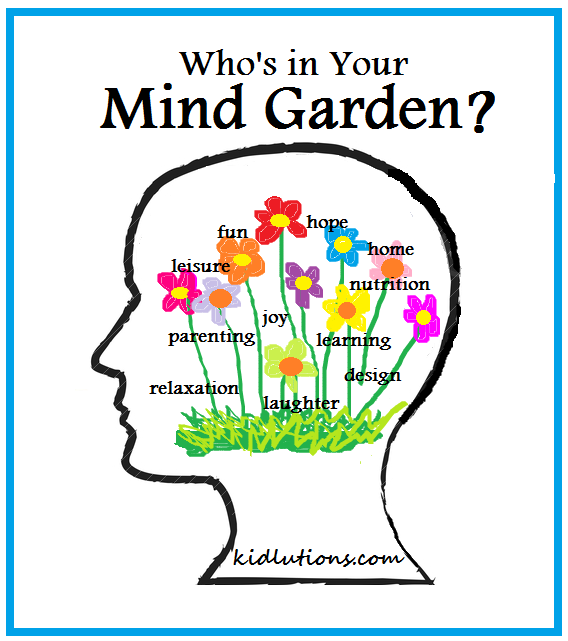 All I found common in them was this brainy and clear-sighted idea of relationship between our mind and the garden. Simple, understandable and brilliant idea ever. As said above by William Wordsworth, our mind is just like a garden where our thoughts are the seeds those we are going to sow and obviously, we reap what we sow. Okay, let's first get refreshed about the garden though we have clear idea about it. If we sow the seeds of high-yielding crops and care them, then automatically when the time comes our homes will be filled by those crops. But think what will happen, if we leave the garden empty without sowing any seed. Will you get the productive harvest? No. Instead weeds will grow in abundance and after all, our garden will be useless. The principle that operates in garden will be exactly same in case of our mind. If we think positive thoughts everyday, we are sowing high-yielding seeds and evidently, we will have happiness, health and joyfulness. But what if you think negative thoughts then you are sowing the seeds of gloominess and obviously, you will be gloomy, doleful and in miserable. This explains an old catchphrase, we reap what we sow. Many of us tend to blame ourselves or others when the things incline away from our path and the chief point is they lack the knowledge of their mind. After all, all we are is all due to our own thoughts. "We are what we think about all day long," as phrased by Emerson. So to think and live positive thoughts is all-important for all the things those happen and will be happening in the future will be judged primarily by the thoughts we think and drink. Think positive thoughts and live fruitful life, today and always.